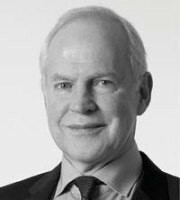 Richard Gilbey is a founding partner of Paris law firm Gilbey Legal, which specialises in intellectual and industrial property law. It offers the full range of services in these fields – from preliminary advice, trademark clearance searches and the filing and prosecution of trademarks and designs internationally to enforcement, litigation and licensing matters concerning trademarks, designs and copyright, including customs enforcement and unfair competition. Gilbey Legal’s practice includes representing French and foreign clients before the EU trademarks and designs registry, including representation up to the Court of Justice of the European Union and the World Intellectual Property Office. The firm also assists in trademark and trade dress regulatory, labelling and advertising issues and domain name registrations and disputes. Mr Gilbey is assisted by three avocats, all of whom are members of the Paris Bar (Jehan-Philippe Jacquey, partner; Joanne Quirin, partner; and Arnaud Lellinger, associate), as well as a highly experienced portfolio management and prosecution team headed by Cécile Chabane. Mr Gilbey is fully bilingual. He graduated in law from the Queen’s College, Oxford. After studying comparative law in France, he qualified as a solicitor in the United Kingdom, where he practised for three years. He then obtained postgraduate degrees in European Community and industrial property law from Strasbourg University. He spent two years as a researcher and teacher at the Strasbourg University IP Centre, where he is now a lecturer. After seven years heading the trademarks and designs departments of life sciences companies Synthelabo and Sanofi, he set up Gilbey Legal in 1992. He is a frequent speaker at French and international trademark conferences (eg, the Association of Trademark and Model Law Practitioners, the International Trademark Association, the Pharmaceutical Trademarks Group and the European Communities Trademark Association) and is an honorary member of the advisory board of the IP department of Akron University, Ohio. He gives seminars for the International Association for the Protection of Intellectual Property (AIPPI) Japan and has published articles in the AIPPI Japan Review.